Tasting notes:a robust floral vanilla aroma, and sweet vanilla notes. All around favorite syrup. 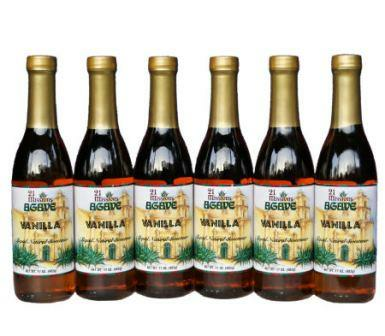 Vanilla Syrup - Vanilla extracts blended from different growing regions: Madagascar, Mexico, Indonesia, and Tahiti. 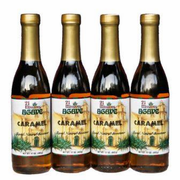 Excellent flavor and balance; coffee, espresso drinks, sodas, desserts, and culinary specialties, 21 Missions Agave syrups will transform beverages to mouth-watering sensations. 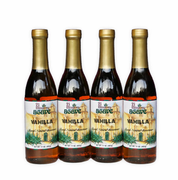 The syrup is bottled in easy-to-handle attractive glass bottles. 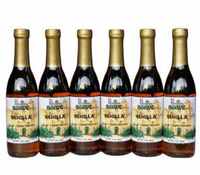 The Blue Agave Nectar in our 21 Missions Agave is Vegan, Kosher and Organic. 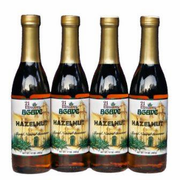 Agave Nectar comes from the Agave succulent plant and is sweeter than sugar, yet has a lower glycemic index.